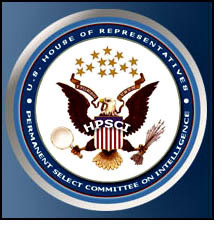 Today the Democrat Minority on the House Permanent Select Committee on Intelligence (HPSCI) released its own version of events concerning the FBI’s alleged misuse of a FISA warrant to intercept Trump campaign conversations. Here is a link to the 10-page memorandum released today. The Republican Majority on the HPSCI released its version of events in a memorandum on February 2, 2018. Our OpenCdA post on February 2, 2018, entitled Nunes (HPSCI) Memo Released includes a link to the Republicans’ memorandum. As you would expect, the Democrats and Republicans have differing accounts of how the FBI obtained the FISA warrant and renewals to intercept Carter Page. The best information about the representations made to the FISA Court by the FBI would be in the applications and supporting documentation and, if available, transcripts of those FISA Court hearings. That information is being sought by Judicial Watch in the lawsuit cited and linked in my February 2, 2018, post Nunes (HPSCI) Memo Released. It is likely that the House Committee on the Judiciary would also be interested in reviewing the FISA applications material. Given the Democrat Minority Memorandum vs. the Nunes/Republican Majority Memorandum, it is clear that “discord” exists in our government. What is completely unclear is how these two groups of people can even be in the same room at the same time. It is a wonder that our country still exists.